Talent, determination, enthusiasm, tenacity, confidence ... These are some of the qualities you need to start and build an independent brand. Designer Isabel Vallecillo and Javier Blanco know all about it and have managed to turn Colmillo de Morsa into a cult brand. They've shown their work three times during Madrid Fashion Week, won a competition in the prestigious Parisian fair Who's Next, and opened outlets in Moscow and Taipei. 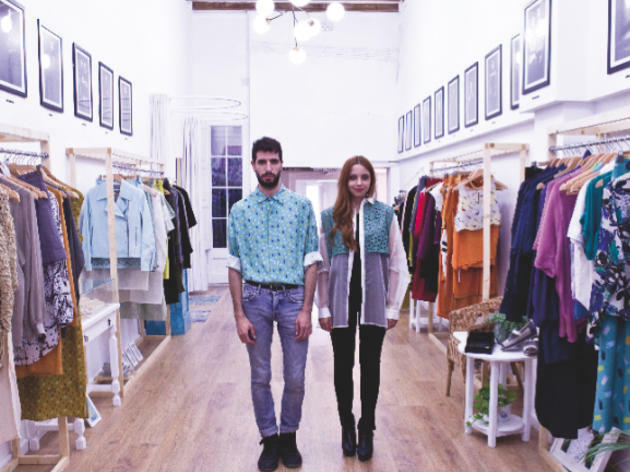 But what's taking them to the top of the class nowis their studio-showroom-shop they've opened in Gràcia, a space that's also open to a stunning pool of young designers, with whom they share tastes, curiosities and a particular way of living and seeing fashion. In record time, they have managed to bring together an interesting batch of designers of clothes, accessories, jewellery and shoes.